Many of our firm’s clients are familiar with ISNetworld™, and the unique set of challenges that accompany “voluntary” compliance with legal and other requirements. For those that are unfamiliar, or who are facing implementation of ISNetworld™ or a similar procurement management software, it is of paramount importance that you understand that there are positive and negative consequences associated with membership. Keep in mind, this isn’t intended to be a hit piece or to promote one particular procurement system over another. They all have their positives, e.g. creating efficiencies from information, safety records, program verification, and customer communication. However, they have their negatives as well. Driving a startup into a compliance mentality is just as futile as pushing a square peg into a round hole. Safety culture and safety program development are two aspects that are unique to every organization. There are really no two alike. Some organizations may choose to comply fully with regulatory requirements from its inception, while most startups cannot afford the cost burden of immediate compliance with every single regulation that applies, let alone dedicate increasingly specialized personnel to performing safety activities. Depending on the ownership and/or leadership, safety may not even be a concern in an organization until *gasp* someone gets hurt. Having been through a number of entrepreneurial classes, I can attest that health, safety, or compliance is rarely mentioned. Taking an informal poll of entrepreneurs may identify that health and safety is important, but considering the amount of bootstrapping that is done or encouraged in startups, it doesn’t count until it counts. This is the double-edged sword of procurement systems. By forcing “compliance” with any set of requirements based on a NAICS or SIC number, organizations get dragged (often times kicking and screaming) down the path of safety program implementation, and often times become disenfranchised towards safety and compliance. Yes, the procurement system may have been successful in ensuring that every single member has a fall protection program. However, the organization has to spend (scarce) time and resource attempting to comply for a risk that is not present in their line of work. Leadership in organizations tend to become resentful about being directed how to spend their safety budget, and when those resources are exhausted by continually having to meet aspects that don’t affect the risk of their particular organization, they don’t get spent in the places that matter. Let’s keep in mind that this is all done in the context of being the lowest bidder. 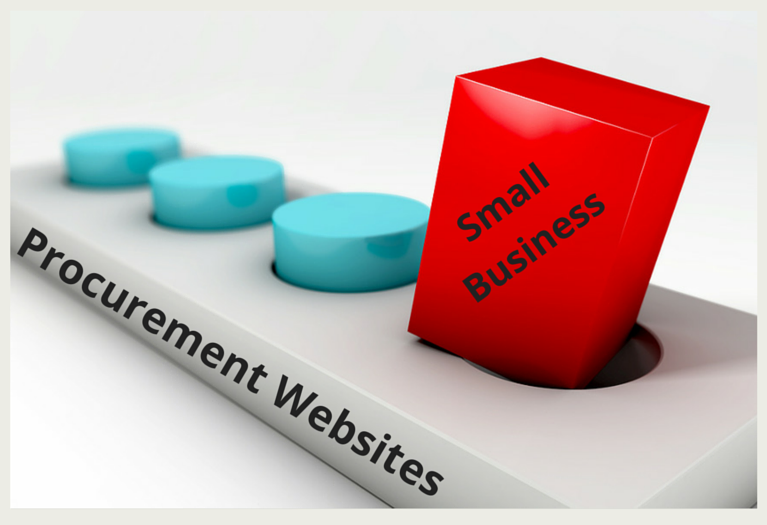 Procurement sites may have lower enrollment and membership costs for small- to medium-enterprises (SMEs), but those are quickly erased when these same organizations have to bring in third-party resources to ensure compliance with program and training requirements. Going one step further, we’ve written previously about the hyperacute focus on incident rates. If any industry going to depart, ever, from the practices of: hiding incidents, ineffective safety culture, and name/blame/shame, then we have to start having conversations about risk, and not about incident rates. Focusing on the risks where resources are needed will generate a far better return on investment for these smaller companies, and build much stronger supplier/customer relationships. Unsurprisingly, procurement sites are still touting incident rates reductions as a comparative benefit of their respective products. This is one of my personal soapboxes, thanks to procurement sites. Most of my adult working life has been spent in SMEs, and I have been fortunate to know most of these organizations’ ownership, often on a first name basis. One of the common themes, without respect to industry or service, is that the owners have been pretty specific on disciplinary practices. This is another round hole, square peg instance. Regardless of whether your organization subscribes to a theory of discipline (as most do), nearly all clients of any procurement site are required to have a conforming multi-step disciplinary policy. Debating the merits of such is outside the scope of the reason we’re mentioning it here, but it may be beneficial to take another look. However, by requiring organizations to have / implement a pretty rigid multi-step disciplinary policy, procurement sites continue to push contractors to a compliance mentality. This is extremely dangerous for a number of different reasons. Most SME contractors do not have the resources for full time staff safety professionals. They do not have the resources available to provide training for incident investigations. More often than not, root causes analysis (which can be difficult for people with training) stops at “it was xxxx’s fault,” or “procedure not followed” and someone inevitably gets disciplined. When this occurs with frequency, it is harmful to the SME’s safety culture. The step after compliance is continuous improvement, and between that and going out of business is the only way to avoid the trap of “compliance.” Continuous improvement in safety translates into the identification, measurement and active efforts toward the reduction of risk. If you choose to outsource your safety management services, remember that compliance is a beginning, not an end.